On the 6th (Mon), walk around Kings Park & Botanic Garden. 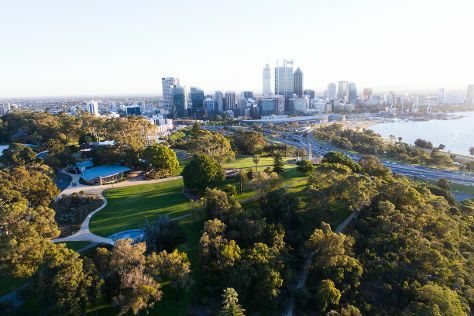 Keep things going the next day: steep yourself in history at Fremantle Prison and then contemplate the waterfront views at Swan River. Bournemouth, UK to Perth is an approximately 23.5-hour combination of train and flight. You can also do a combination of train and flight; or do a combination of train and flight. Due to the time zone difference, you'll lose 8 hours traveling from Bournemouth to Perth. While traveling from Bournemouth, expect much hotter days and a bit warmer nights in Perth, ranging from highs of 31°C to lows of 15°C. Finish up your sightseeing early on the 8th (Wed) so you can travel to Alice Springs. 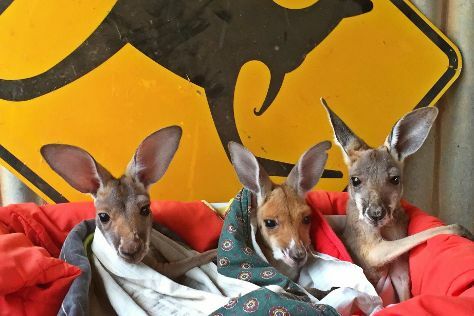 Start off your visit on the 9th (Thu): get the lay of the land with Walking tours, browse the exhibits of Talapi, and then identify plant and animal life at The Kangaroo Sanctuary. To find more things to do, reviews, photos, and other tourist information, read Alice Springs tour site . Traveling by flight from Perth to Alice Springs takes 5 hours. Alternatively, you can drive; or take a train. Due to the time zone difference, you'll lose 1 hour traveling from Perth to Alice Springs. In April, daytime highs in Alice Springs are 34°C, while nighttime lows are 15°C. Finish up your sightseeing early on the 9th (Thu) so you can travel to Uluru-Kata Tjuta National Park. Uluru-Kata Tjuta National Park is known for nature, museums, outdoors, trails, and classes. Your plan includes some of its best attractions: take in the dramatic natural features at Uluru, admire the verdant scenery at Valley of the Winds, go for a walk through Lungkata Walk, and tour the pleasant surroundings at Uluru Hiking Path. For photos, maps, traveler tips, and more tourist information, go to the Uluru-Kata Tjuta National Park road trip site . Traveling by combination of taxi and flight from Alice Springs to Uluru-Kata Tjuta National Park takes 2 hours. Alternatively, you can drive. In April in Uluru-Kata Tjuta National Park, expect temperatures between 34°C during the day and 17°C at night. Finish your sightseeing early on the 12th (Sun) so you can travel to Adelaide. You'll find plenty of places to visit near Adelaide: The Cedars (in Hahndorf) and Primo Estate (in McLaren Vale). Dedicate the 13th (Mon) to wine at some of the top wineries in the area. And it doesn't end there: admire the masterpieces at Art Gallery of South Australia, get engrossed in the history at Migration Museum, take in nature's colorful creations at Adelaide Botanic Garden, and stop by Unique Opal Mine Pty Ltd.
To find maps, other places to visit, ratings, and other tourist information, use the Adelaide day trip planning site . 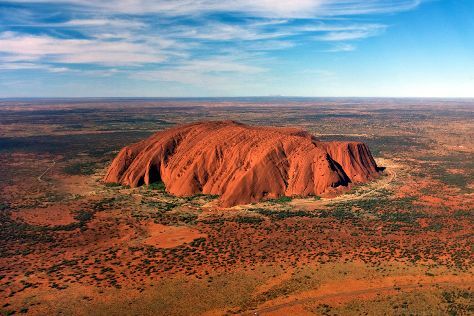 You can fly from Uluru-Kata Tjuta National Park to Adelaide in 7 hours. Alternatively, you can drive. Traveling from Uluru-Kata Tjuta National Park in April, expect nights in Adelaide to be about the same, around 14°C, while days are a bit cooler, around 26°C. Finish your sightseeing early on the 15th (Wed) to allow enough time to travel to Melbourne. Dedicate the 19th (Sun) to wine at some of the top wineries in the area. The adventure continues: admire the natural beauty at Royal Botanic Gardens, get your game on at Zero Latency, get lost in a book at State Library of Victoria, and take a memorable tour with Tours. To find maps, other places to visit, reviews, and other tourist information, go to the Melbourne online holiday planner . Fly from Adelaide to Melbourne in 3.5 hours. Alternatively, you can drive; or take a train. In April, daytime highs in Melbourne are 23°C, while nighttime lows are 11°C. Finish your sightseeing early on the 19th (Sun) to allow enough time to travel to Sydney. Sydney is known for nightlife, trails, beaches, parks, and museums. 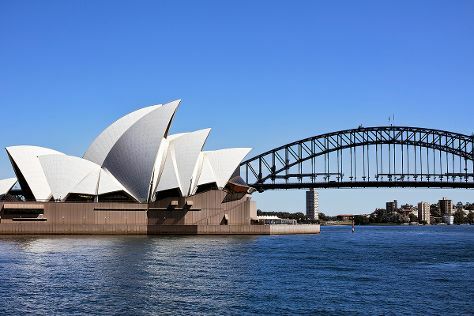 Your plan includes some of its best attractions: don't miss a visit to Sydney Opera House, get to know the fascinating history of The Rocks, hunt for treasures at Sydney Fish Market, and see the interesting displays at Australian National Maritime Museum. To find traveler tips, reviews, maps, and tourist information, you can read our Sydney trip planner . Traveling by flight from Melbourne to Sydney takes 3.5 hours. Alternatively, you can do a combination of shuttle and flight; or drive. Traveling from Melbourne in April, plan for a bit warmer nights in Sydney, with lows around 17°C. Wrap up your sightseeing on the 24th (Fri) early enough to travel to Brisbane. Step out of Brisbane to go to Main Beach and see Sea World Theme Park, which is approximately 1h 30 min away. 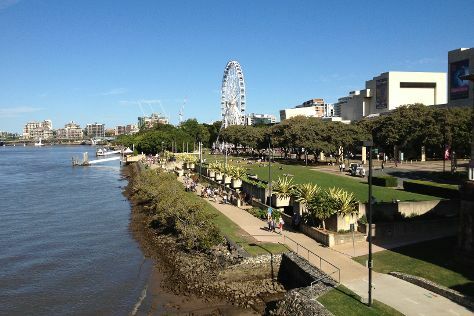 There's much more to do: walk around South Bank Parklands, get great views at Brisbane Botanic Gardens Mt. Coot-tha, take in nature's colorful creations at Roma Street Parkland, and explore and take pictures at Suncorp Stadium. For other places to visit, maps, traveler tips, and tourist information, refer to the Brisbane journey planner. Fly from Sydney to Brisbane in 4 hours. Alternatively, you can do a combination of flight and bus; or drive. In April, daily temperatures in Brisbane can reach 30°C, while at night they dip to 19°C. Finish your sightseeing early on the 28th (Tue) so you can travel to Darwin. Kick off your visit on the 29th (Wed): look for all kinds of wild species at Wildlife Areas. Quickly create a custom-made itinerary for Darwin using our trip planner. You can fly from Brisbane to Darwin in 6 hours. Other options are to drive; or take a bus. Prepare for a bit warmer weather when traveling from Brisbane in April: high temperatures in Darwin hover around 38°C and lows are around 28°C. Finish your sightseeing early on the 29th (Wed) to allow enough time to travel to Cairns. On the 30th (Thu), discover the deep blue sea with a scuba or snorkeling tour. Here are some ideas for day two: take in the dramatic scenery at Josephine Falls, then enjoy some diversion at Esplanade Lagoon Pool, and then hike along Esplanade Boardwalk. To see reviews, ratings, and tourist information, refer to the Cairns online vacation planner . You can fly from Darwin to Cairns in 4.5 hours. Alternatively, you can drive; or take a bus. Traveling from Darwin in April, you will find days in Cairns are slightly colder (34°C), and nights are about the same (26°C). Wrap up your sightseeing on the 1st (Fri) to allow time to travel back home.